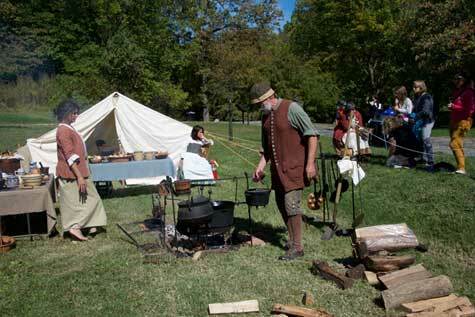 Step back in time for the Heritage Day festival at historic Peirce Mill in Rock Creek Park. A blacksmith, carpenter, bluegrass music, cider press, and corn sheller will round out the demonstrations for Heritage Day. And we’ll have hands-on children’s crafts. A food truck will provide lunch options for hungry millers. The waterwheel will be turning from 11:00 a.m. to 2:00 p.m. to showcase the magic of the giant wooden machine, designed by Oliver Evans. Built in 1820-1829 by Isaac Peirce as part of his large estate, the gristmill brings to life the agricultural history of Washington County. Free!